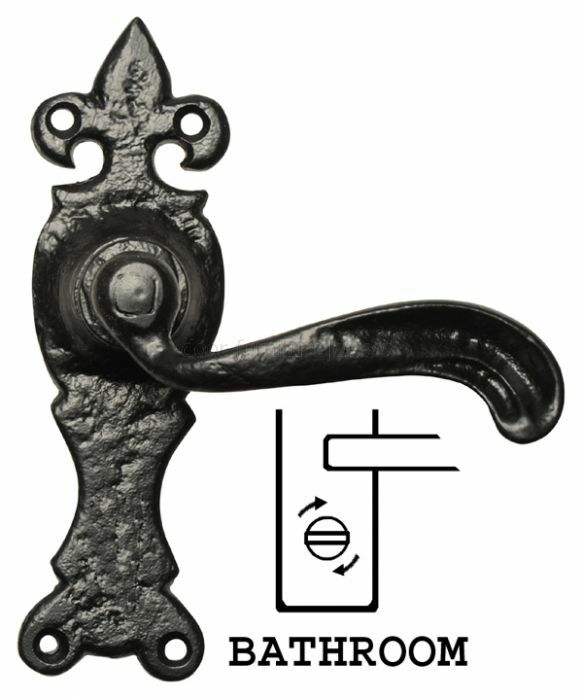 Black antique bathroom handles supplied with a turn button and emergency release. Dimensions of plate are 158x50mm. This set includes spindle and screws. Please note that the picture shown is that of a matching lever latch handle and not a bathroom handle. Bathroom handles suitable for use with a bathroom lock.